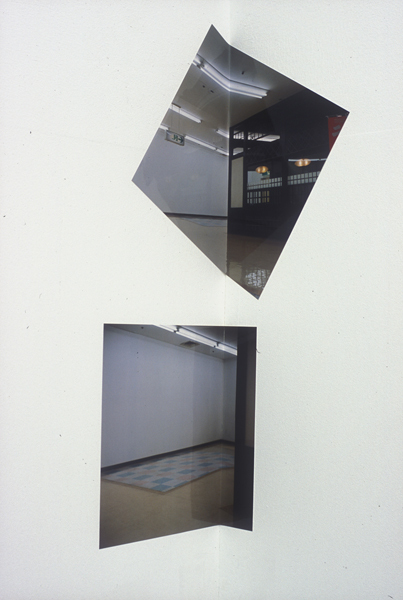 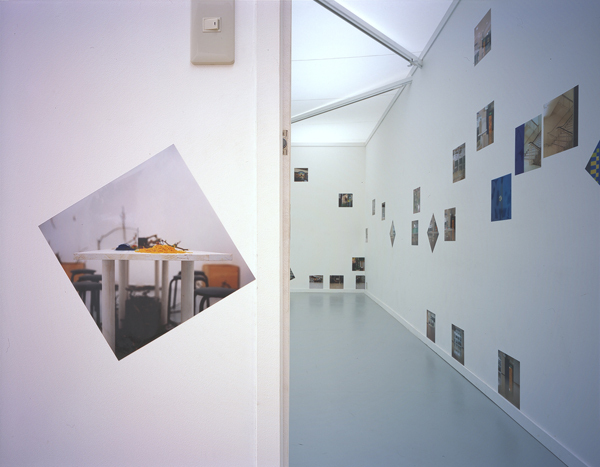 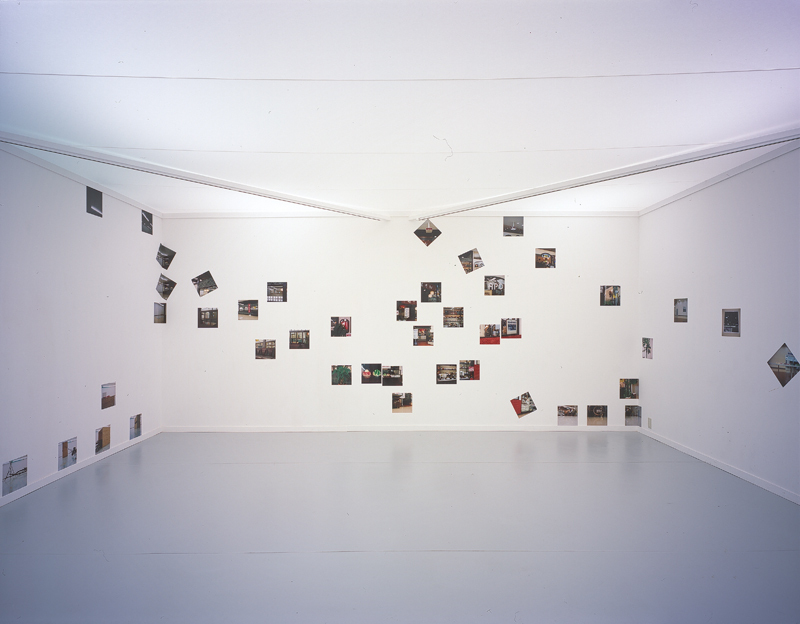 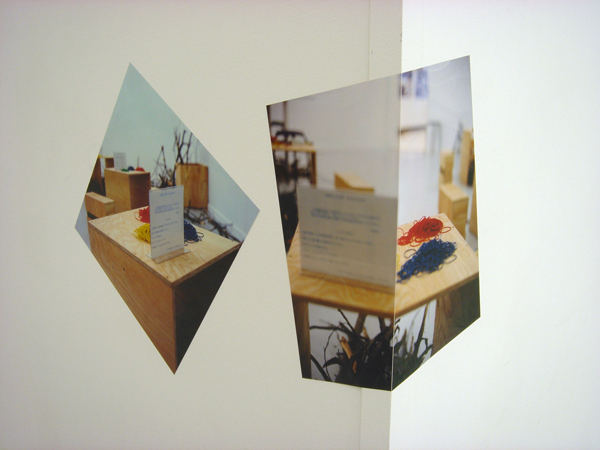 'Clairvoyance Aug. 17, 2005' allows audience to view the past gallery space penetrating through the walls. 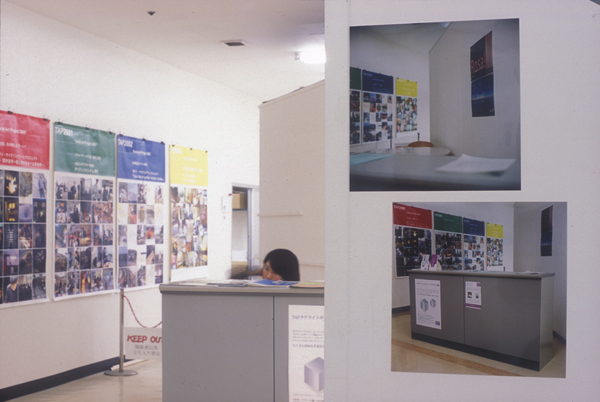 A group of photographs, taken on Aug. 17, 2005 attached in zigzags to the four interior walls of TAP2005 Satellite Gallery, and showed views beyond the wall: the restaurant and the cafeteria at Katakura Shopping Plaza. 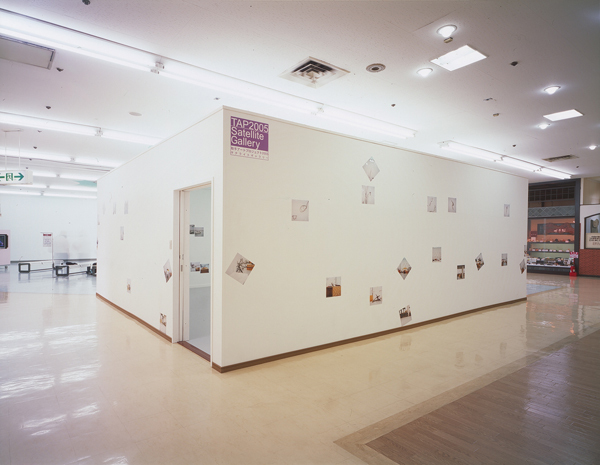 Another group of photographs, taken on the same day installed in zigzags on the four exterior walls of the same gallery, and showed views of the solo exhibition of Yoshihisa Nakano beyond the walls.